In loving memory, Stan was born in Moose Jaw, SK., to Fred and Annie Tickner. He was predeceased by sister, Alice May, brothers, Alfred and Leslie and sister-in-law, Kay Roberts (Murray). Stan is survived by his loving wife, Avis. Also survived by sisters-in-law, Jean of Ottawa, ON., and Florence of Sooke, BC. Nieces, Gwen Elliott (Keith), Linda Ligtelyn (Cas); great nieces and nephews, Gerald (Maureen), Kevin (Melissa), Patrick, Karen (Matt), Kristin (Jonathan) and Chris (Karissa); great-nieces and nephew, Theia, Luisa, Chelsea, Francine, Hailey and Keith. Stan and Avis were married in 1953 at the Zion United Church in Moose Jaw. They celebrated their 65th wedding anniversary on June 13th, 2018. Stan owned and operated Western Electric Motor Service in Moose Jaw until his retirement in 1998. Stan and Avis took great pride in the house they build in 1957. For 60 years they enjoyed gardening and maintaining their home. 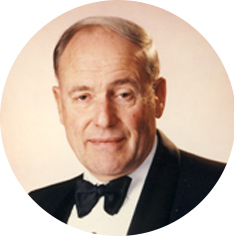 He was Past Grand Master of the Grand Lodge Saskatchewan and several other Masonic Lodges including the WaWa Moose Jaw Shrine Club. In keeping with Stan’s wishes, a private family service will take place.